Lt. Col. Jaber Asaad also revealed that his department does have other ISIS documents, which contain full information about the terrorist group’s fighters in the city of Mosul, including personal details, when they joined the group, all of their movements and when and how they died. 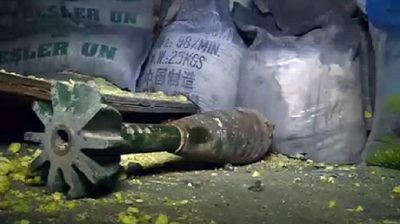 Since 2014, many reports have accused the terrorist group of manufacturing and using chemical weapons, mainly mustard gas. The lethal chemical agent was reportedly used by the terrorists group during battles in the cities of Taza, Fallujah and Tikrit. The U.S. and its allies rushed to accuse the Damascus government of carrying out every alleged chemical attack in Syria. However, they never called for an investigation into the chemical acitvities of ISIS, which raise many questions about their real goals.